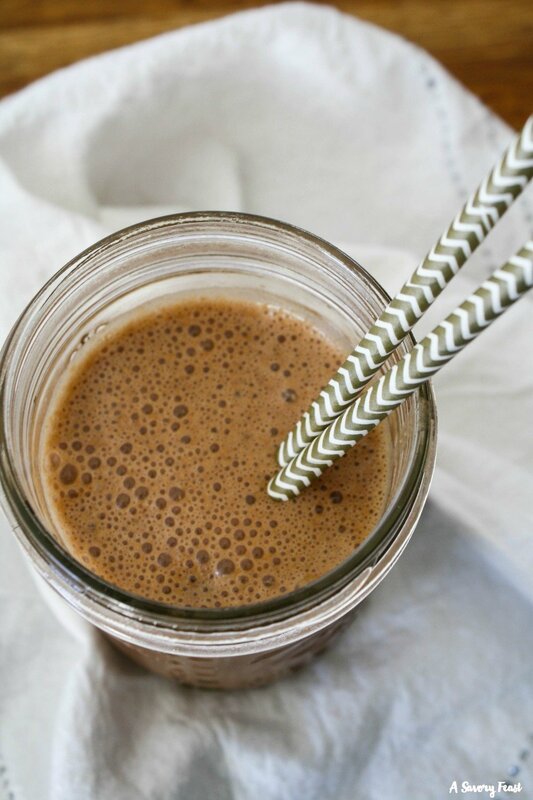 Get your chocolate fix with this Healthy Date-Sweetened Chocolate Shake! Made with nutritious ingredients, this shake is perfect for after a workout or for a filling snack. 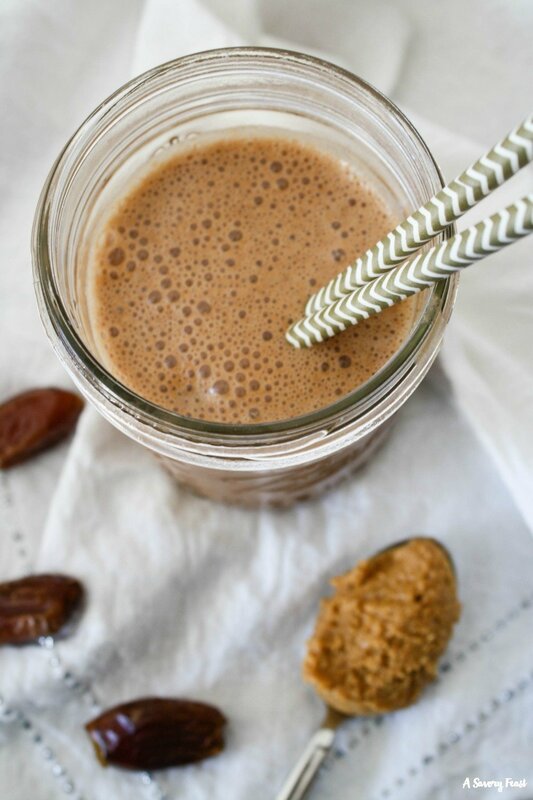 Made without granulated sugar, this shake uses a better-for-you natural sweetener: dates! Confession: I have SUCH a sweet tooth! I am always craving chocolate. But over the past couple years I’ve been cutting back on the amount of sugar in my diet. I’ve changed up my breakfasts and snacks so that I don’t have any refined sugar there. Pretty much the only sugar I have at this point is when I’m actually having a dessert or special treat. All the sugars in processed breakfast cereals, packaged snacks, etc can really add up! Instead, I make my breakfasts and snacks from scratch and sweeten with natural things like maple syrup, honey or dates. And yes, I know that those things are still “sugar,” but they so much better for you! 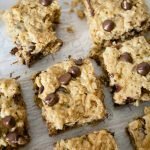 Lately I’ve been experimenting with making snacks and desserts sweetened with dates. 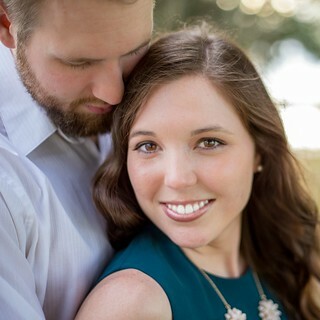 Some of my favorites so far? This Vegan Chocolate Ice Cream from Minimalist Baker and these Healthy No Sugar Added Blueberry Muffins from A Joyfully Mad Kitchen! 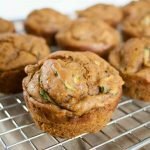 I started using dates back when I cut out sugar from my breakfasts. I stopped using coffee creamer and instead made a paste from the dates and added that to my coffee along with milk. Now I am to the point where I only add milk to my coffee and I’m still enjoying the taste! Hopefully soon I can enjoy it black. 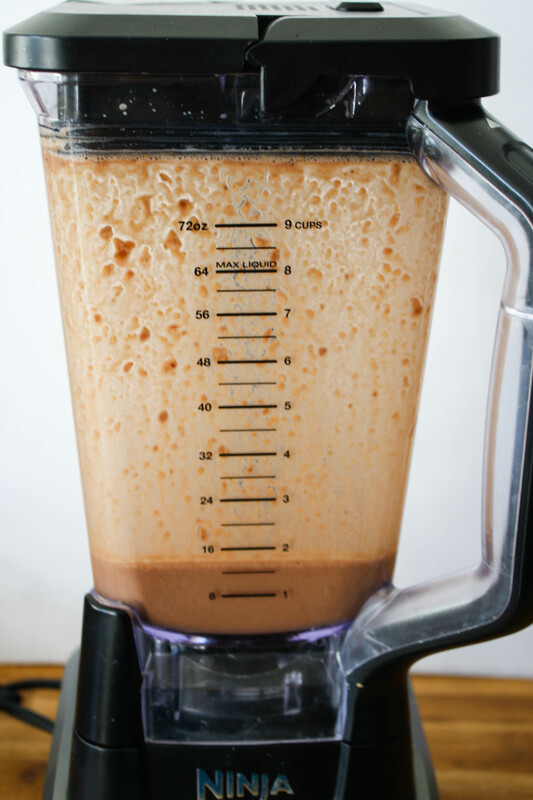 This healthy chocolate shake was born when I was trying to get back on track with healthy eating after the holidays. Especially since I am in my third trimester of pregnancy, eating a healthy, low sugar diet is important. After the New Year I didn’t eat refined sugar for most of the month of January. The main thing I missed was chocolate, so I found better-for-me ways to enjoy it, like this shake! Why Use Dates as a Sweetener? Dates are one of the sweetest fruits out there, but your body can more easily convert it into energy as compared with processed sugar. 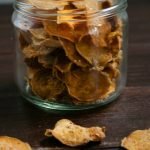 It’s also packed with vitamins and minerals like calcium, fiber, potassium and more (source). Dates also have a lower glycemic index so they won’t spike your blood sugar as high as sugar does or even other natural sweeteners (source). How Do I Use Dates to Sweeten a Chocolate Shake? I use 5 dates to sweeten my chocolate shake. Try it out and see what you think, you may decide to use more or less dates next time depending on how sweet you want your shake. Add the dates and milk to the blender first and let it blend for a minute or two to get the dates broken up as small as possible. I find that if I just throw all the ingredients in the blender at once, it has a harder time blending up the dates and I end up with chunks in my shake. Can I Substitute Any of the Ingredients? Depending on your diet or preferences, you can substitute some of the ingredients! For the milk, I prefer to use almond milk. If I don’t have that, I’ll use regular milk. This shake would be great with any milk alternative. You can switch out the peanut butter for any nut butter as well. 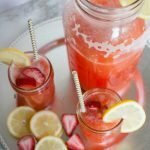 If you try this recipe, be sure to leave a rating and/or comment below to share your thoughts! You can also share a picture over on Instagram and tag @asavoryfeast. 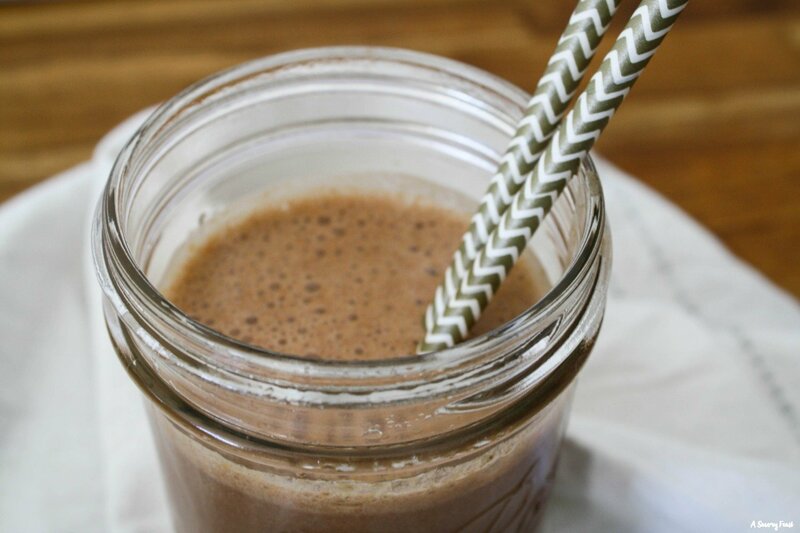 Get your chocolate fix with this Healthy Date-Sweetened Chocolate Shake! Made with nutritious ingredients, this shake is perfect for after a workout or for a filling snack. 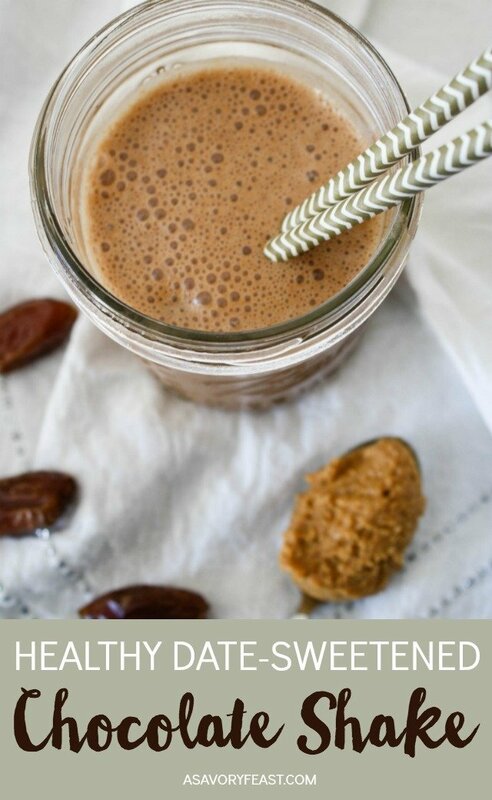 Made without granulated sugar, this shake uses a better-for-you natural sweetener: dates! Some peanut butter is added for texture and to fill you up. And of course, cocoa powder for that chocolate-y flavor! Place the dates and milk in a blender and blend until smooth. Add in the remaining ingredients and blend until smooth. looks yummy. I guess ill be using dark chocolate because of the Proven Health Benefits of dark chocolates. It would be delicious with dark chocolate!